The City of Palmetto is often overlooked because of its neighbors, Anna Maria Island and Bradenton. However, Palmetto has a lot to offer! 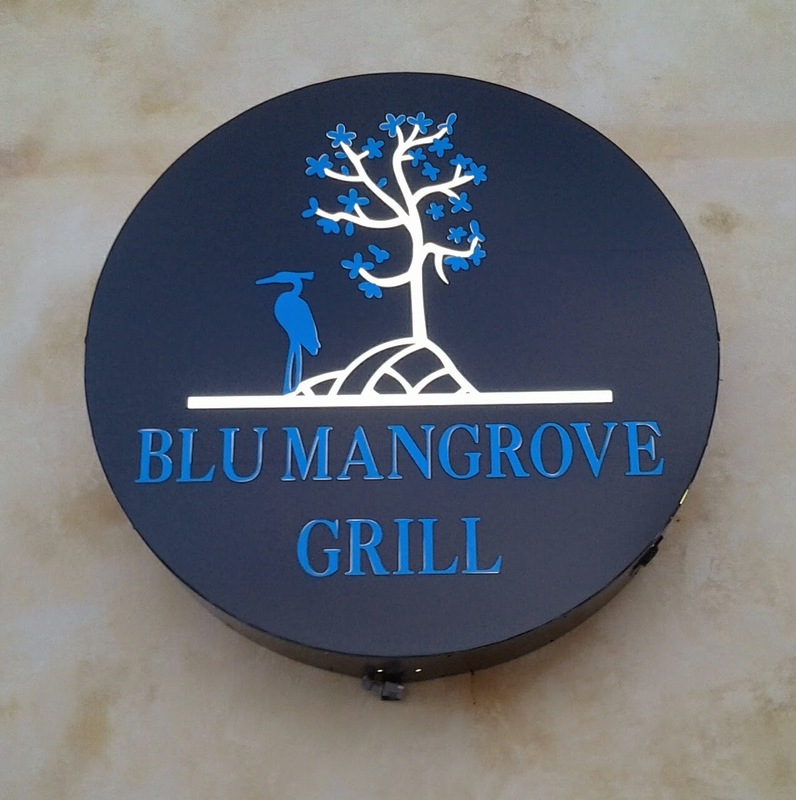 A great location in Palmetto is the Blu Mangrove Grill. The grill is located on the Manatee River, in front of the Riviera Dunes Marina. 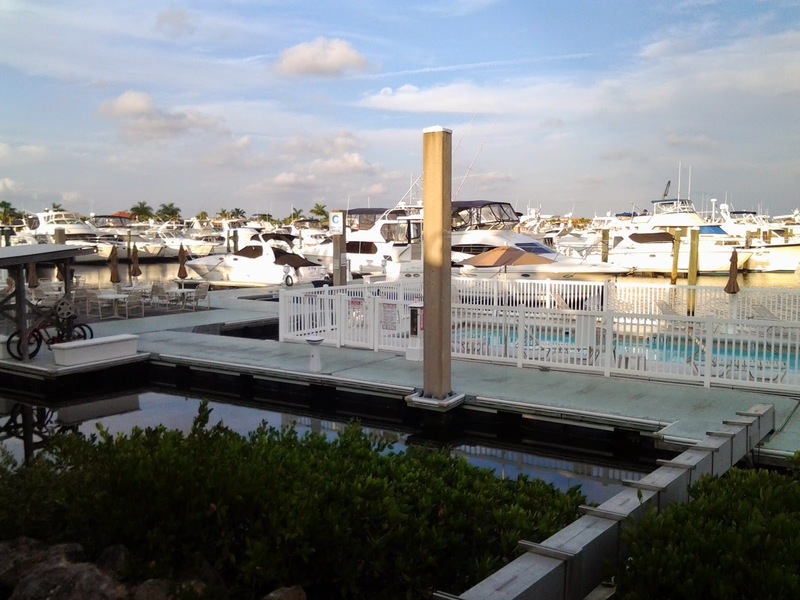 We sat on the back porch and were able to listen to live music, while overlooking the marina. We are always suckers for calamari. 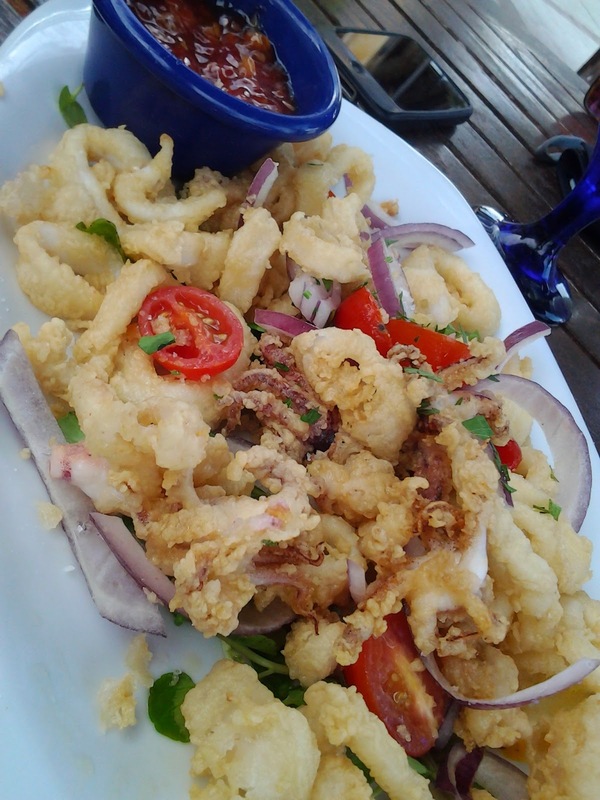 Blu Mangrove's calamari was very delicious with its mix of fresh red onion, grape tomatoes, and arugula. 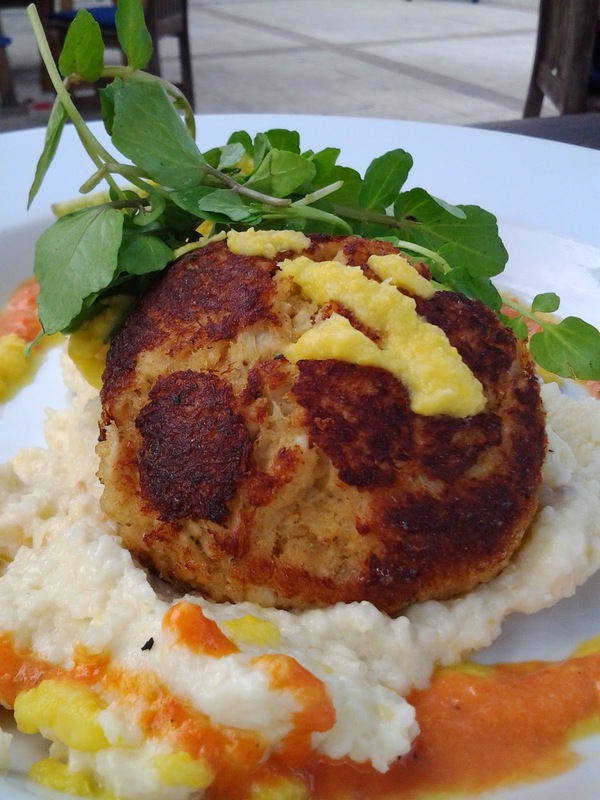 For dinner, Brian order the Jumbo Lump Blue Crab Cakes. They came with smoked Gouda cheese grits, truffle corn coulis, red pepper sabayon, and orange-jicama salad. 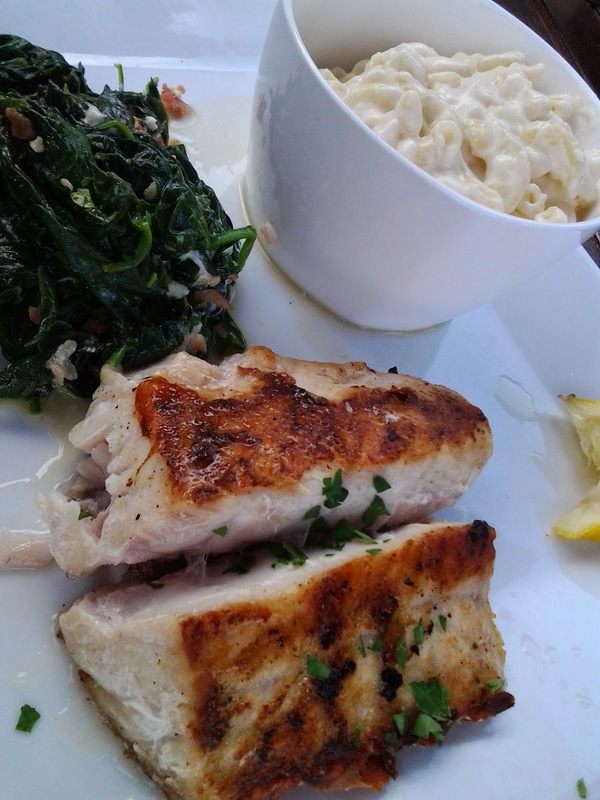 I ordered the Grilled Corvina in a lemon-caper butter sauce, with the goat cheese and bacon spinach, and the smoked Gouda mac & cheese. We were both very happy with our meals. The fish was cooked correctly. The drinks were very cold. This is definitely a spot we will return to! Like the Blu Mangrove on Facebook. Join the Blue Mangrove Club!